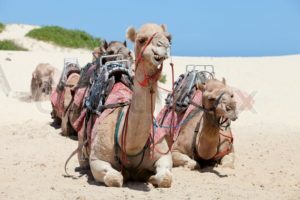 Traders from the Mediterranean, returning home from the East with their treasures of spices, incense and silk, flocked to the city in the middle of the desert. Camels slaked their thirst at the gushing water troughs. Merchants slept safe from harm inside the complex. It was a brilliant plan, to carve this mysterious city out of solid rock. But who did it? Where did the water come from? And what happened to its thriving population of 20,000? For centuries, the city sat abandoned, baking in the desert, its palaces, its temples, its royal tombs lost to the world. 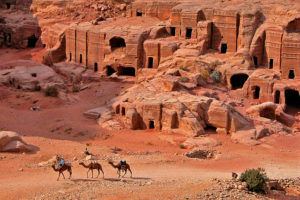 The locals always knew about Petra, and kept it a guarded secret, until Swiss explorer John Lewis Burckhardt appeared in Arab dress and befriended them. They decided to show him their rock city. But only so much of it. 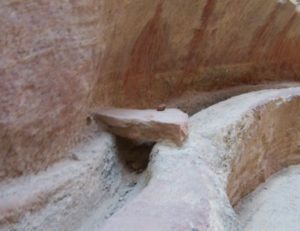 Inside, Burckhardt found a city, including Nabataean tombs cut out of solid rock. In 400 BCE, the Nabataea Kingdom moved in to the rock city. The Romans took over in 106 AD. They renamed it Arabia Petrea. When the locals escorted Burckhardt out, they sacrificed a goat, to purify their empty city. 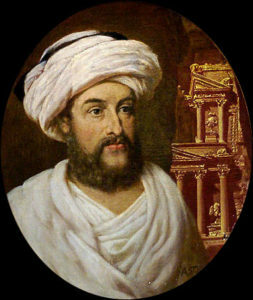 Burckhardt had plans for more exploration but died from food poisoning five years after bringing Petra back to the world. Scholars were puzzled by the mysterious city. It was obvious why it was there – it was a crossroads for caravans. But how could it function? There were cisterns and troughs for water, but no source of water. Enough water could not be toted in, nor was there enough yearly rainfall to make a difference. 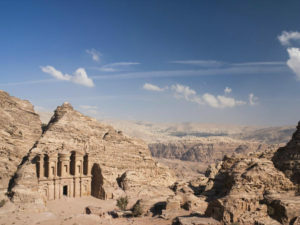 Finally, the mystery was solved: extensive exploration of the site revealed a system of tunnels and passages and dams that funneled water from the distant mountains to Petra. 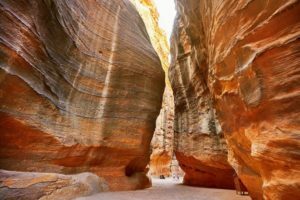 Today, Petra is a UNESCO World Heritage Site in the care of the Petra Archaeological Park managed by the Ministry of Tourism and Antiquities, trying to protect it from acid rain and its growing popularity. FYI, the dates in the title and in paragraph three don’t match. Is it 1300 BCE or 400 BCE? Thanks so much, Rose! I rewrote it to make the timeline a little clearer.